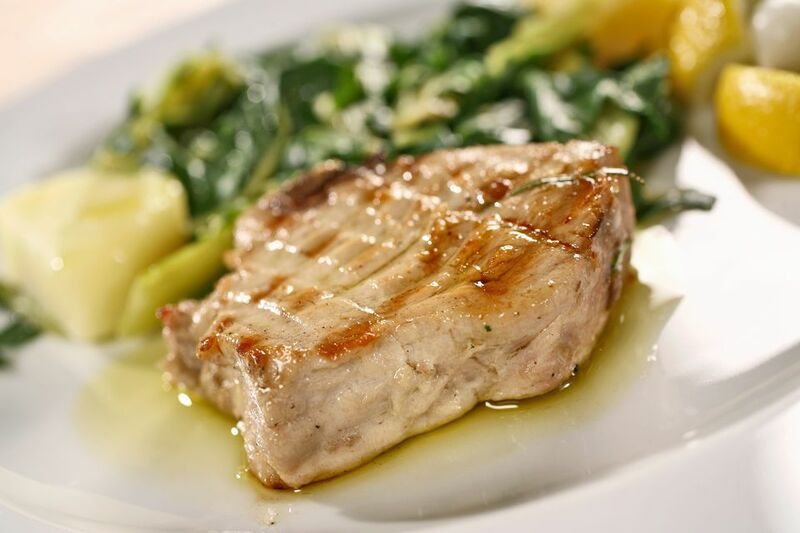 Serve this delicious grilled tuna with rice or slice it and top a tossed salad or fresh spring greens (e.g., baby kale, arugula, spinach, etc.). Take care, however, that you don't overcook by grilling too long -- unfortunately, a well-done tuna steak is not a well-cooked tuna steak. Cooking more than medium rare will result in dried out fish that has texture and flavor more like canned tuna. The Dijon honey mustard adds just the right amount of flavor to the tuna steaks. If you are serving the tuna with salad, consider a complementary tangy honey Dijon dressing or a simple oil and vinegar combination that won't hide the flavor of the grilled tuna. If it isn't warm enough to grill, consider the broiler. Broil the marinated tuna steaks about 4 inches from the heat source for 6 to 8 minutes, turning halfway through to brown both sides. About 1 to 2 hours before grilling, place the tuna in a glass bowl. Combine the Dijon honey mustard, olive oil, soy sauce, and rice wine or white vinegar in a small bowl. Pour over tuna and turn to make sure all pieces are well coated. Cover the bowl with plastic wrap and refrigerate until it's time to grill. Spray a clean grill or grilling pan with non-stick cooking spray or brush it with vegetable oil. Grill the tuna over hot coals for about 5 to 7 minutes, or until nicely charred on the outside and still a bit pink in the middle.